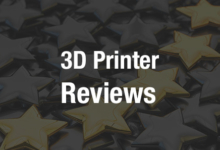 Diabase Engineering offered 3D printer owners a brand new option in 2016 when it introduced the Flexion Extruder, an add-on extruder that promised to give any 3D printer industrial 3D printing capabilities. A few months later, the company upgraded the extruder by giving it higher-temperature capabilities. The extruder has been popular and a claim to fame for Diabase Engineering, which was founded a couple of years ago by NinjaFlex inventor Stephen Heston. Now Diabase has taken a step forward into the 3D printer market itself with the H-Series, which is more than a 3D printer – it’s a hybrid machine that combines both additive and subtractive manufacturing capabilities. The H-Series is designed like a vertical machining center, with an open build environment and a range of workholding options that allow for the use of round, rectangular or sheet stock as raw material. It includes air-cooled spindles and coordinated 5-axis motion, enabling the use of advanced subtractive toolpaths. Additional subsystems and attachments allow for process environment control, scanning and measurement, nozzle cleaning and more. Hybrid manufacturing machines are becoming increasingly common as manufacturers realize the convenience of having 3D printing and CNC machining in one place. Typically, parts are 3D printed roughly to near net shape, then cleaned up and machined down to their final shape. This process is a low-waste and high-throughput one that that allows for accurate parts with high quality surface finish, though it also requires the machine to have higher mass and stiffness in order to remain accurate under highly vibrational tool loads. The H-Series is a little bit different. Rather than completing a 3D printed part and then machining it, the machine additively and subtractively manufactures in successive steps: it starts with a sheet, slug or other raw material, then machines away some features, adds additional ones, and subtractively smooths them before adding more in a true hybrid process. This process is faster and more predictable in terms of mechanical properties. The H-Series has a tool-changing system that accommodates up to five Flexion extruders, as well as wireless control, an enclosure, and a heated filament cabinet. According to Diabase Engineering, the H-Series is suitable for short run production, not just prototyping. Its desktop size makes it a convenient machine for the office or small machine shop, and Diabase describes it as being well-suited to prosumers and institutions. More and more manufacturers are realizing the benefits of hybrid manufacturing. While 3D printing is an effective technology on its own, using CNC machining alongside it makes it faster, cleaner, and overall more effective. The H-Series isn’t the first hybrid 3D printer and CNC machine to enter the market, nor is it the first desktop hybrid machine, but its novel process of additively and subtractively manufacturing one right after another sets it apart from others. As 3D printing moves away from being a prototyping tool and towards being an actual tool for manufacturing, machines like this help to bring the technology forward into something that is more efficient and effective. The H-Series will be available soon from Diabase Engineering; you can sign up on the company’s website to be notified when it is available.